Learn why “Mordechai Yehuda” is also “Mortka Leib” is also “Max”. 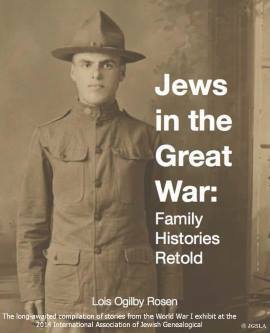 This look at Jewish given names (first names) will focus on practical issues for genealogical research. Our ancestors each had many different given names and nicknames, in various languages and alphabets – this can make Jewish genealogical research difficult. This presentation will teach you about the history and patterns of Jewish first names, and how to recognize your ancestors’ names in genealogical sources. Topics include: Religious and secular names; origins of given names; variants, nicknames and diminutives; double names (unrelated pairs, kinnui, Hebrew/Yiddish translations); patronymics; name equivalents; Ashkenazic naming traditions (naming of children); statistics on the distribution and popularity of given names in various regions and times; spelling issues; Polish and Russian declensions; interpretation of names in documents; and the Anglicization of immigrant Jewish names: adaptations and transformations. Warren Blatt is the Managing Director of JewishGen (www.jewishgen.org). He is the author of Resources for Jewish Genealogy in the Boston Area (JGS of Greater Boston, 1996); and co-author (with Gary Mokotoff) of Getting Started in Jewish Genealogy (Avotaynu, 1999). He was the Chair of the 15th International Seminar on Jewish Genealogy and in 2004, he was awarded the IAJGS’ Lifetime Achievement Award in Jerusalem. All programs are open to the public. Free to JGSLA members. Guests $5. You can join at the door. Invite your friends! THE SOUTH BAY IS CLOSER THAN YOU THINK! Handicapped Accessible with wheelchair ramp, 4 handicapped parking spaces, and wheelchair accessible restrooms. 3) Turn RIGHT onto TOYOTA WAY Tell the security officer you are visiting the museum. 5) Turn LEFT at VAN NESS AVENUE. The building has the numbers “19600” towards the roof line. Proceed to the entrance mid-building on the left where there is a metal awning. Museum doors are on the left side under the awning. Please sign-in at the Front Desk. Proceed to the entrance mid-building where there is a metal awning.